The term ‘ovtchrka’ (also seen as ‘owtscharka’ or ‘ovcharka’) indicates a shepherd’s guard dog rather than one used for herding sheep. Primarily they protect the flock from predators, such as wolves, and thieves. It is also used as a guard dog by the Russian army, which discourages exportation to other countries. Unlike the other Ovtcharkas, the South Russian is a more recent creation. At the end of the 18th century Spanish livestock guardians were taken to Russia with their sheep, however once there it was found that they were not suited to their new environment. They were crossed with local dogs to create a larger, tougher breed that was more apt to take on the constant threat of wolves. Like so many other Asian breeds this is another dog that was almost completely lost to war. By the end of WWII only a handful of the breed was surviving in state kennels. For this reason some dogs seeming to be of the South Russian Ovcharka type were crossed with the few remaining purebreds to maintain a bloodline. 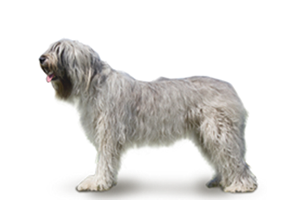 Twice the Komondor was also used to strengthen the breed, once in 1947 and again in the 1970s. Is the South Russian Ovcharka Right for You?